Ever feel overwhelmed by your environment? Does it sometime feel like others energy soaks into your personal space? Ever catch yourself feeling exhausted, angry, irritable, moody, or sick for no reason–it just came like a sudden flood out of no where? Have you ever asked yourself why you are so sensitive to others around you and the environment? The good news is these feelings might NOT be yours. You may be what others call an “empath” also know as a “highly sensitive person” (HSP). Empaths are highly sensitive of the environment and energy. 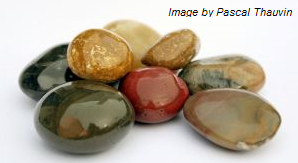 Often they can sense others energy and even absorb others energy. They can sense how another person is feeling just by being in proximity or seeing the person as if the feeling is in their OWN body. The following list is provided by Michael R. Smith, Ph.D of EmpathConnection.com to help you discover if you are an empath. 1. You look at someone and “just know” their emotional state. 2. You can feel the energy coming at you (or being drained) from another person, especially from the eyes. 3. You have a blocked feeling in your chest [or core], as if someone is tugging on it. 4. Tend to run away from people when stressed, rather than engage. 5. You’ve been called “oversensitive,” especially if you’re male. 6. Always know where danger may lurk. (Curiously, you may have avoided accidents). 7. Are drawn to the tranquility of animals. 8. Are drawn to mountains, nature, the ocean – anywhere outdoors. 9. Can not bear violence in any form. 10. Can easily produce tears, sometimes at will. 11. You can feel the physical aches & pains of others. 12. Feel better after a good, intense cry. 14. Are overwhelmed by large crowds or mobs (e.g. shopping malls). 15. Can sometimes feel affected by the energy of the full moon. 16. Have intense, fantastic, and sometimes lucid, dreams. If this sounds like you… You’re not alone. Here are some solutions to clearing negative energy Mark and I found useful. Everyone is different, so try them out to see which ones work better for you. 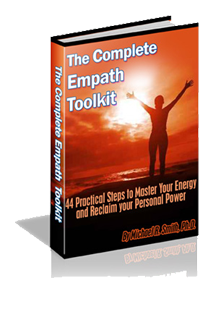 Check out Michael’s Complete Empath Toolkit here. 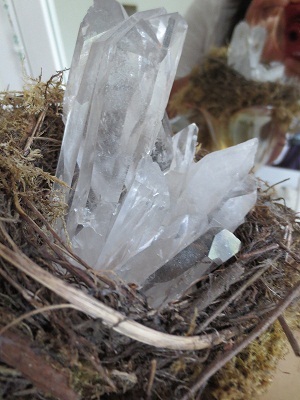 This entry was posted in -Clearing Negative Energies, -Daily Care Tips For Empaths, -Empath Expert Guests, -Empath Solutions & Tools, -News, -Recommended Resources, -What Is An Empath? and tagged cleaning the place, clearing negative energy in your environment, conscious empath, eliminination negative energy, Emotional State, empath, empath sensitive to crowds, empaths, Feelings, Full Moon, grounding yourself, healing rocks, healing stone, helpful tips, highly sensitive person, how do I know I am an empath, how do you protect yourself from negative energy, how to create high vibration, how to protect yourself from negative energy in your environment, hsp, keeping your energy, Large Crowds, Lucid Dreams, meditation for removing negative energy, Michael R Smith, michael smith energy clearing video, negative energy, pebbles, Personal Space, protecting your energy, protecting yourself, protective stones, protective stones and crystals, remedy, rock picture, saging the place, Soaks, solution for empaths, stay grounded, stone image, things to do, things to do to elevate your personal energy frequency, tips, video, www.empathconnection.com on January 1, 2011 by EmpathSolutions.